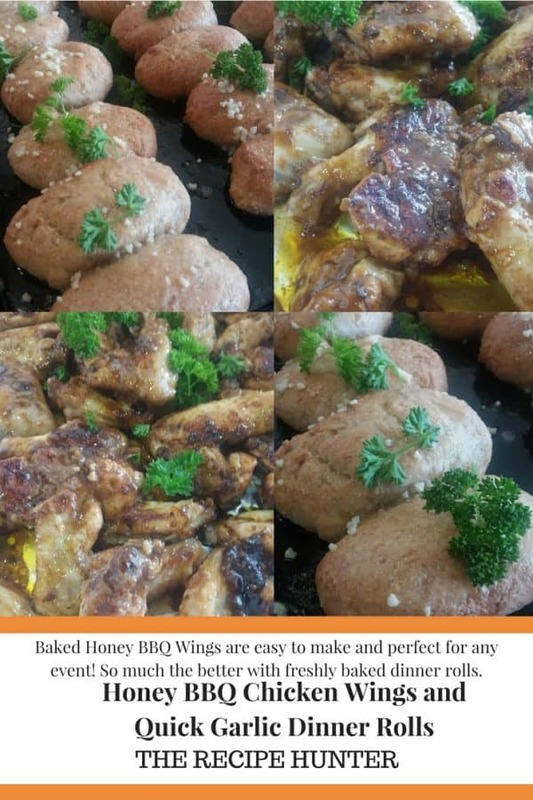 Baked Honey BBQ Wings are easy to make and perfect for any event! So much the better with freshly baked dinner rolls. Mix well all the ingredients to make a thick sauce. Add the chicken wings & mix well. Marinate the wings for at least 2 hours or overnight. Sieve flours add sugar, salt, garlic powder and yeast a and mix. Pat oil on top of the dough and set aside to rise for 1 hour. Place shaped rolls in a greased tray and allow to rise for 30 minutes. Bake in Thermofan Oven oven for 17 minutes/convection oven 20 minutes or more until golden brown. Enjoy this super soft yummy tasty dinner rolls with wings or any dish of your choice.